Telecoms and broadband services companies are increasingly venturing into the power and energy sector amidst ongoing distributed solar energy uptake and “smart,” connected utilities’ growing reliance on digital information and communications technology (ICT). 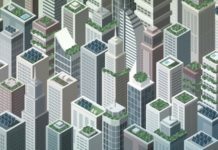 They’re also making increasing use of solar PV, battery-based energy storage and other distributed clean energy assets inside the organization. In what’s now a well established trend, mobile network operators have been replacing wireless communications towers’ diesel generator sets with solar PV-battery-based energy storage systems (BESS), for example. Just this month, Sydney, Australia’s SpeedCast International announced that it’s working with Afghanistan’s Wasel Telecom to deliver a package of solar energy-fueled wireless and mobile telecoms services to residents of 200 isolated villages in the war and strife-torn nation. Capitalizing on their investments in mobile and cloud services innovation, they’re offering packaged, end-to-end turnkey and managed digital energy ICT platforms, as well unbundled software-as-a-service (SaaS) applications and energy IoT networking across the value chain worldwide, from individual households to the largest utilities. Vodafone and MTN’s mobile payments services are core facets of budding off-grid, mobile “pay-go” solar home markets in Africa, Asia and other developing world regions, for example. Marking the 10th anniversary since its Safaricom subsidiary introduced M-Pesa in Kenya, Vodafone recently announced that the mobile payments service is now being used by 30 million people in 10 countries. Joining with solar entrepreneurs, development banks and government agencies, mobile payments and telecommunications providers are pivotal players in making solar energy reliable, affordable and widely accessible in developing countries worldwide – in long under-served rural communities in particular. 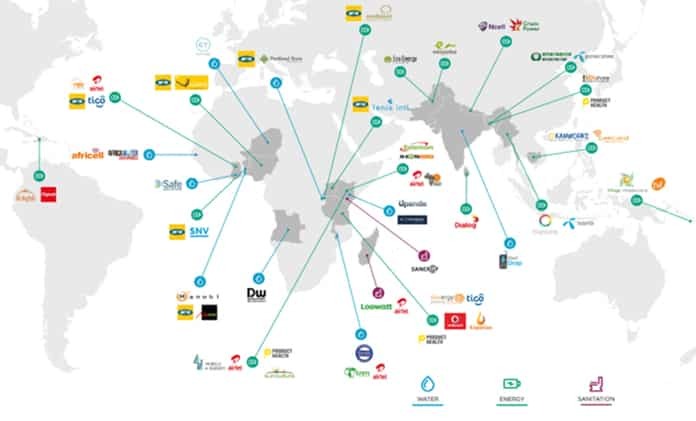 Reaching more than 65 million people, d.light is one of, if not the fastest growing off-grid mobile pay-go solar companies in the world. The pioneering start-up works with mobile network operators across the developing world, including Airtel in India and both Safaricom and MTN in Africa. Having developed its Pay-Go platform in-house, the company is now licensing Pay-Go’s back-end Atlas platform to select local partners in developing markets where it does not have a presence, founder and CEO Ned Tozun informed Solar Magazine in an email response to questions. “Pay as you go” solar home service business models would be possible without mobile network and mobile payments connectivity, but they would be curtailed dramatically, Tozun said. 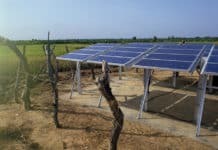 Providing modern, environmentally friendly Internet and banking as well as energy services, mobile network operators and pay-go solar energy companies are giving rural residents and communities across the developing world a big leg up the sustainable energy and socioeconomic ladders – and the industry and markets are still in their infancy. The potential for growth is vast: an estimated 17 percent of world population – some 1.3 billion people – lack access to grid power. Now showing signs they’re able to raise debt, as well as hundreds of millions of dollars in venture and private equity, capital, pioneering mobile pay-go solar companies are maturing quickly and the market “ecosystem” is diversifying as it expands. Looking to add to the momentum, global mobile telecoms industry association GSMA recently opened a new round of applications for its Mobile for Development (M4D) Utilities Innovation Fund. M4D grants are awarded to qualified, selected applicants that aim to test scalable, replicable mobile communications solutions that provide or expand access to clean energy, water and/or sanitation services. Two types of grants are awarded: Seed grants of as much as GBP300,000 with a one-third private investor match, and Market Validation grants of as much as GBP300,000 with a 100% investor match. GSMA launched M4D in June 2013 with support from the UK’s Dept. for International Development (DFID). Capitalizing on 34 grants and GBP 5.6 million awarded across four continents to date, recipients have raised an additional USD 174 million from private sector investors. Overall, it’s estimated that more than 2.3 million people in under-served communities worldwide are reaping the benefits. Furthermore, organizations throughout the mobile networks sector are in a position to drive developments forward. Focusing on water and sanitation, as well as energy, M4D provides a focal point for GSMA’s efforts to spur them on. “GSMA activities in the energy access sector started in 2010, with the Community Power from Mobile program, encouraging mobile network operators in developing countries to be actors and partners to provide excess power generated from their base stations to local, off-grid communities,” Nique recounted. 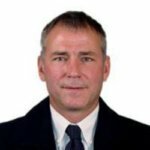 Developments are taking a different course in industrialized nations in North America, Europe, Japan and Australia, where grid access is nearly ubiquitous, the vast majority of residents have and make regular use of bank accounts, and have a wide variety of options to choose from when paying for goods or services. That said, wireless/mobile telecoms providers are working with power and energy sector organizations to apply and derive maximum value from essentially the same technology “toolkit” in both industrially developed and developing nations. The US’ largest wireless/mobile network carrier, Verizon is making big-time investments to expand its presence in the power and energy sector. 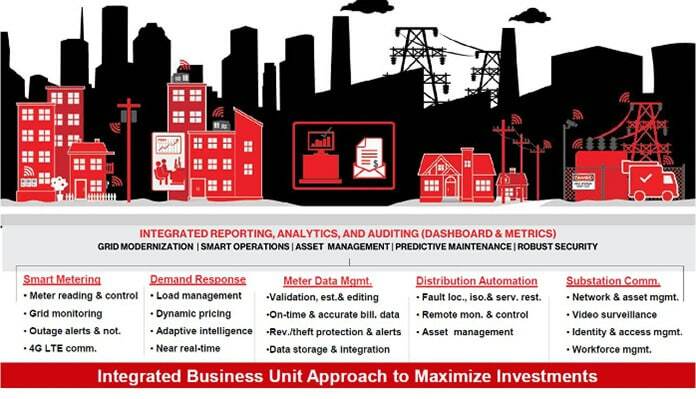 Its “Grid Wide Utility as a Service” provides a comprehensive, end-to-end power and energy IoT cloud services platform provides is solution being used across the utility sector, from the largest investor-owned utilities to municipal utilities and the some 3,900 electric co-operatives that provide electricity services across the rural U.S.
Systems complexity, lack of industry standards and market fragmentation characterize the distributed and renewable energy market spaces at present. 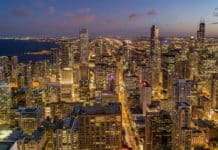 Projects are also capital intensive, which in general means that only the largest investor-owned utilities (IOUs) have the resources required to take full advantage of fast emerging energy IoT solutions, Verizon’s VP of IoT and Connected Solutions Mark Bartolomeo explained in an interview. Verizon supports more than 3 million utility meters across the U.S. at present. Most of the smart meters installed in recent years are equipped with 4G LTE wireless broadband modules. “Typically, they’re sending very little data at low speeds, such as how much energy has been and is being consumed, some type of data management identifiers for billing and the like. It’s very low level – as I like to say, your electricity meter is never going to subscribe to Netflix,” Bartolomeo continued. 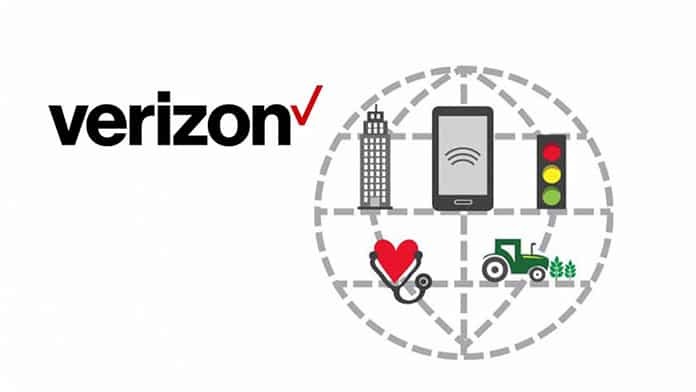 Turning to the solar energy sector specifically, Verizon’s energy IoT cloud services encompass applications in the preparatory phases of solar project development as well. In addition to providing the communications and information required to make use of unmanned aerial vehicles (UAVs, or drones) for inspection purposes, Verizon’s mobile broadband IoT network is being used by project developers to survey and assess solar energy potential at prospective sites. “We’re investing a lot in unmanned airspace management. It’s a big area for us,” Bartolomeo said. A new, global generation of solar and renewable energy “prosumers” who both produce and consume emissions-free electricity is emerging around the world. 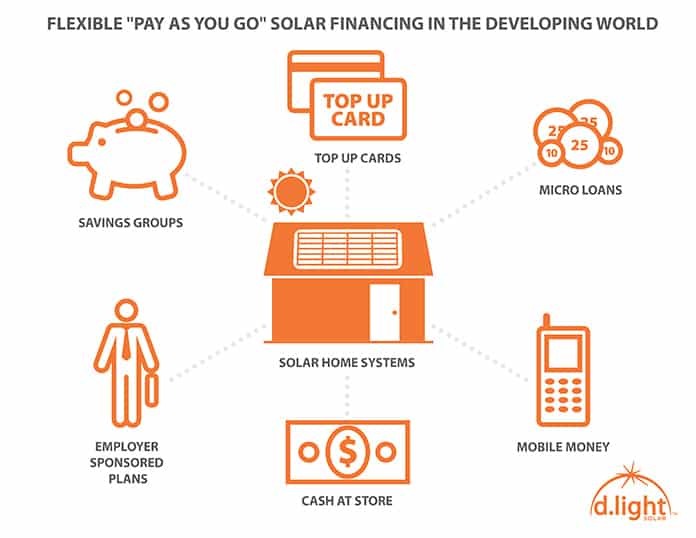 Whether it’s mobile pay-go solar in the developing world or residential, commercial, industrial or community solar in industrialized nations, this all falls in line with the United Nations’ Sustainable Development Goals (SDGs), the strategic, 15-year blueprint that succeeds the Millennium Development Goals. 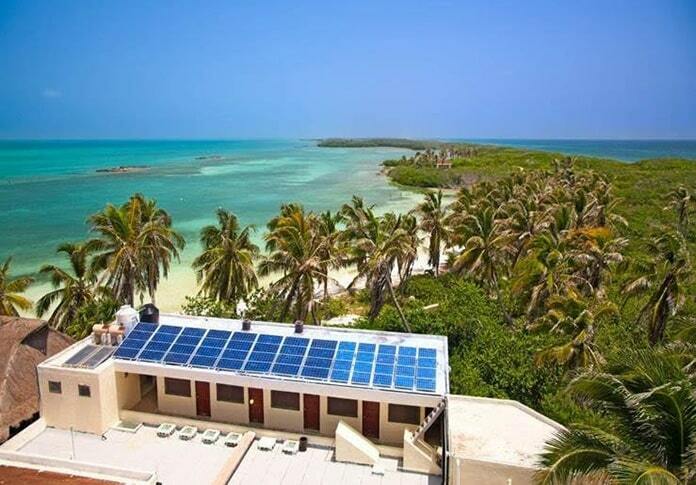 It’s far too early to say how far this initial wave of solar and renewable energy-fueled households, organizations, communities and distributed power grids will take us towards realizing the UN SDGs. Enthusiasm is running high and results to date, on the whole, are encouraging. Key challenges need to be surmounted, and critical questions regarding their long term performance and viability need to be resolved, however.